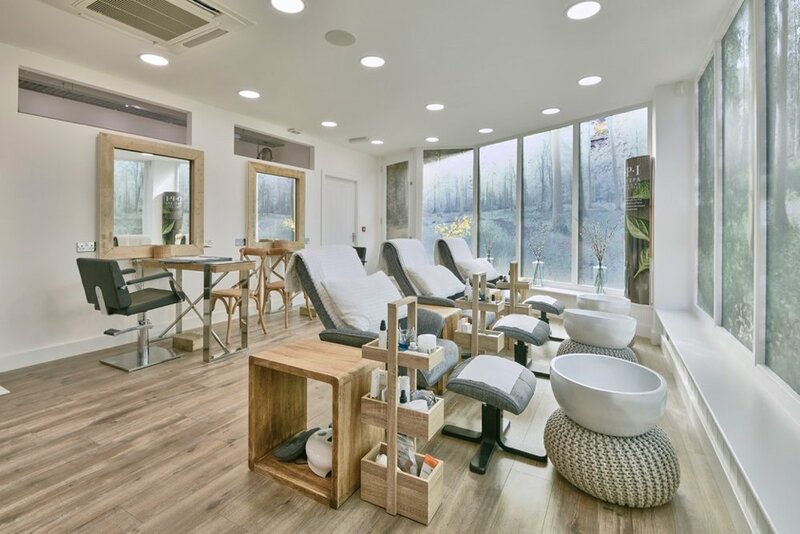 Bondholder Sally Montague has opened a purpose-built Town Spa, Salon and Studio in Ashbourne. The development has been designed by Sally’s brother, architect and Bondholder Matthew Montague Architects, and encompasses the land off the Horse and Jockey yard which has been disused for decades. The brief was to design a space where guests will want to spend time and experience a wide variety of hair and spa treatments in relaxed and spacious surroundings. 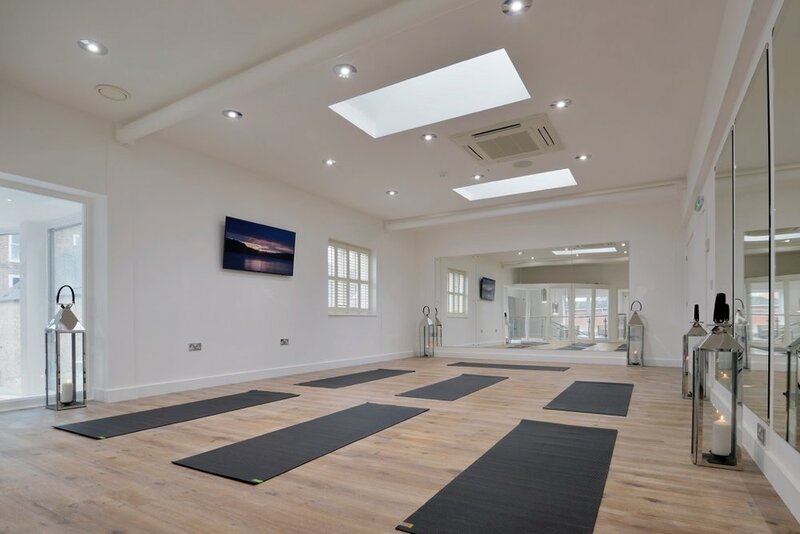 Downstairs is home to a spacious salon and nail area while upstairs there are six treatment rooms, a relaxation area and multipurpose studio for Yoga, Pilates and fitness classes. The new site has been in the planning and design stages for eight years and is one of the salon largest developments of its kind in the UK. Designed around a central concrete staircase, the light filled space stretches to 8000 sq ft and is already attracting lots of attention from both the local and national industry press. Set over two floors located around a new courtyard, the development is be the final piece in the jigsaw linking dig street to St. John's Street through to The Greenman and Blacksmiths yard for shoppers and pedestrians. 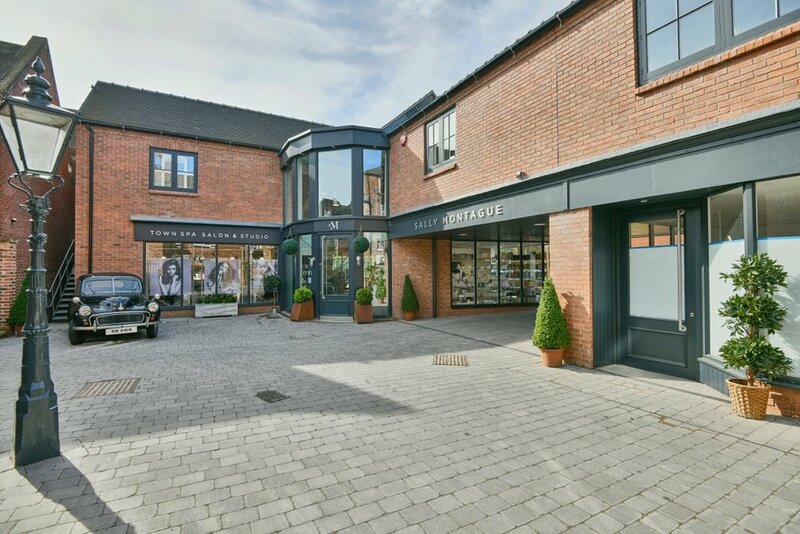 Bringing back into use one of the last derelict areas in Ashbourne town centre, the project has not only created a new salon and spa but has grown the independent lifestyle activities and retail opportunities that Ashbourne has to offer. The six-strong salon group is celebrating it’s thirty fifth business anniversary and the opening of the new salon at the launch event on Thursday June 7th from 6-9pm. Marketing Derby Bondholders are welcome to attend but please be aware that space is limited. RSVP by emailing emmanuelle@sallymontague.co.uk as soon as possible.